Now your photo collages can be created in a cool and funky fashion! 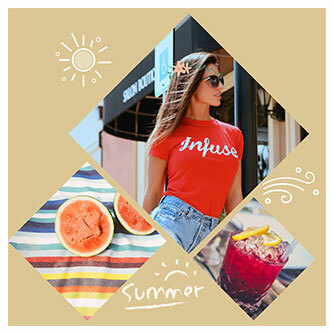 Our funky templates provide you with different shapes of photo grids for you to play around with and unleash your creativity. Start making funky photo collages now! Loads of fun with Fotor's Funky Collage Maker! Have you ever pulled out some scissors and glue, cut your photos into funky designs, and pasted them together on a giant collage? Well, you'll never need to deal with that mess again! With Funky Collage just choose from our shapes or templates and then organize them (you can adjust the size, opacity, move, and rotate). Then, simply drag your photos into the shapes. You can also adjust the background color or upload a photo to be the background of your collage. Go wild! Open your selected images in Fotor's collage maker. Drag and drop your photos into collage cells. You can also modify the backgrounds, borders and add effects, stickers and texts. Save your work, choosing the format and quality desired. 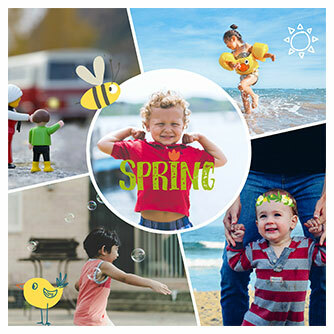 The Fotor platform also has a whole range of options including photo editor, photo effects, stickers and text, allowing for photo retouching, collage making and graphic design. Experiment and try them out to achieve image perfection! 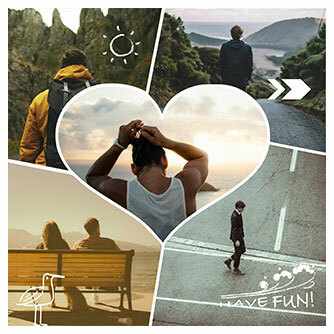 Fotor's funky collage maker changes photo collage cells into different shapes. Your creativity is the only limitation in creating awesome pic collages!